Overgate Hospice Choir is delighted to be giving its first performance of Mendelssohn’s St Paul on Saturday 19th October in Halifax Minster. The choir will be conducted by Alan Horsey and accompanied on the organ by Dr Simon Lindley, in a reversal of their usual roles. We will be welcoming four exceptional soloists, all of whom are also great friends of the choir and as a result supporters of the Hospice – Ella Taylor (Soprano), Margaret McDonald (Mezzo Soprano), Christopher Trenholme (Tenor) and Quentin Brown (Bass). Other roles include Miles from Britten’s The Turn of the Screw, Galatea in Handel’s Acis and Galatea, and La Contessa in Mozart’s Le Nozze di Figaro, as well as performing scenes as the Governess from The Turn of the Screw, and Leonore from Fidelio. A keen recitalist and collaborator, they have an on-going relationship with the ensemble 4 Girls 4 Harps, as well as the Strand Chamber Orchestra, having recently performed Mahler’s Rückert Lieder with them. While at Academy, they were a member of the prestigious Song Circle and a Kohn Foundation Bach cantata scholar. Other collaborations include work with Ensemble 360 in Music in the Round’s May Festival, singing John Tavener’s Akhmatova Songs, along with work with the groups REMIX and Oedipa in a project based around Dowland lute songs. Margaret McDonald is a renowned international mezzo-soprano and voice-coach. She sings regularly in major venues with leading conductors both in the UK and abroad, encompassing an extensive repertoire. She has sung on the operatic stage for Glyndebourne Festival and Touring Opera, Opera North, ENO, Scottish Opera and Opera Go Round, CBTO and Chelsea Opera to name but a few. She has recorded works for Nimbus, Marco Polo and the BBC, including Maxwell Davies’ The Jacobite Rising and Sea Elergy. Maggie now combines a busy singing schedule with her Vocal Consultancy work – being in demand for master-classes, workshops and examining. 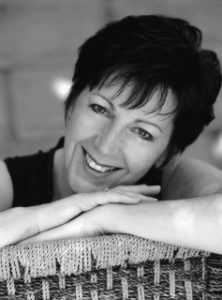 She has taught at the Scottish Conservatoire and the RNCM (where she indeed studied) and is the vocal coach for the Sheffield Philharmonic Chorus and the Hallé Choir. 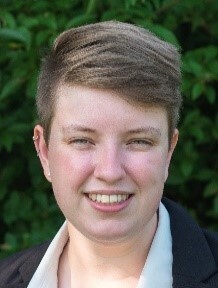 She teaches at Chetham’s School of Music in Manchester, and regularly coaches the Birmingham Festival Chorus, Doncaster Choral Society, Chester Musical Society, Liverpool Philharmonic Chorus, the St George’s Singers and the Marsh Ladies Choir. She has recently led a day workshop at Southwell Minster. Concerts this year have ranged from Bach’s B minor Mass in Derby Cathedral, Brahms Alto Rhapsody in Lancaster Great Hall with Chetham’s Symphony Orchestra, Verdi’s Requiem in Buxton, to a recital in Leeds Town Hall with Simon Lindley and an evening of Cole Porter for Doncaster Choral Society. Future performances include a recital with recorder player John Turner, a recital in Leeds Town Hall, Elgar’s Music Makers in Manchester’s Bridgewater Hall, Elgar’s Dream of Gerontius in Sheffield Cathedral, Rossini’s Petite Messe Solennelle for the Sheffield Philharmonic Chorus and recitals in France. When she is not making music, Maggie loves to swim and drive fast cars!! The last time Christopher Trenholme performed Mendelssohn’s music with this choir was in Elijah in 2013: a concert he remembers very fondly, and hopes to build upon today. 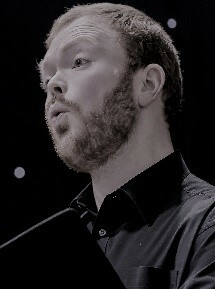 He currently receives tuition from renowned tenor Joshua Ellicott and is sought after as a soloist throughout the North of England. Notable past engagements include Haydn’s Creation, Handel’s Samson (in the title role), Bach’s Mass in B minor and St John Passion (as aria soloist and also as evangelist) to name but a few. On top of his solo career, he is an excellent choral singer. He works at maintaining this through the choir of Leeds Minster, and previously as a lay clerk at St Mary’s Cathedral, Edinburgh (where he studied for his degree in Mathematics and Music). He has been in several radio broadcasts with the BBC Daily Service Singers and has recently sung with Borealis choir, recording a CD of choral music by Hans Gál. 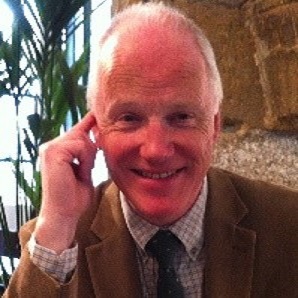 Christopher is rather fond of the operettas of Gilbert and Sullivan, having taken the lead tenor roles in productions of The Mikado and The Yeomen of the Guard. He has a passion for early music, and enjoys composing and improvising in a variety of styles on the piano. Quentin Brown has been a singer since his days as boy chorister at Rochester Cathedral. 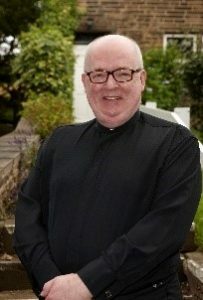 As an adult he became a lay-clerk at Leeds Parish Church and subsequently a member of the BBC Northern Singers under Stephen Wilkinson; he studied with Sybil Chambers, John Carol Case, David Mason and Paul Wade. 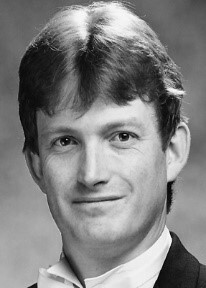 He is principal Bass soloist for St Peter’s Singers of Leeds, where he has been fortunate to work with Dr Simon Lindley for over thirty years. Now he performs a wide repertoire ranging from Bach and Handel to Mendelssohn, Berlioz, Rossini, Verdi, Elgar, Vaughan Williams, and Orff. In 2000, Quentin was among the soloists in the Goldberg Ensemble’s performance of the St John Passion, marking the 250th anniversary of J S Bach’s death, and he has appeared with the Manchester Camerata and with the English Symphony Orchestra under Dr Donald Hunt. Recent engagements include Brahms German Requiem, Mozart’s Requiem and Handel Anthems. Future plans include Vaughan Williams’s Five Mystical Songs and Dona nobis pacem at Leeds Town Hall on Monday 18 February 2019 at 1.05 pm with St Peter’s Singers. Simon Lindley is Music Director of Overgate Hospice Choir, a position he has held since 1997. Simon is one of very few organ accompanists specialising in the accompaniment oratorios, cantatas and other choral works presented without benefit of orchestra, being for some years the organist of choice at Huddersfield Town Hall for performances by Huddersfield Methodist Choir. His first involvements with “St Paul” were in such a capacity in Oxford as a schoolboy and later in London and the home counties whilst a student at the Royal College of Music. He has accompanied this magnificent Mendelssohn work on over twenty occasions and is much looking forward to providing the accompaniment for the Overgate Choir’s October 2019 performance with a team of star vocal soloists under the direction of our distinguished accompanist, Alan Horsey. Some background about Mendelssohn and St Paul. Mendelssohn was born into a wealthy and cultured Berlin family. He was a precociously gifted child, so much so that the finest musicians of the day hailed him as a second Mozart. This comparison was by no means without foundation; by the time he had reached his mid-teens Mendelssohn had composed a large number of mature works. He was sixteen when he wrote the String Octet, and the wonderful overture A Midsummer Night’s Dream followed a year later. Mendelssohn’s extraordinary gifts were not confined to composition; he went on to become a brilliant pianist and organist, a fine string player and an inspirational conductor. He was a great admirer of the music of Handel and Haydn, whose oratorios he conducted. Mendelssohn visited England many times, where he was received with adulation, feted by the press, and became a great favourite of Queen Victoria and Prince Albert. In 1831 Mendelssohn was commissioned to compose an oratorio. He knew his Bible extremely well and invariably turned to it for inspiration when considering a new choral piece. It has been suggested that he chose the life of St Paul as a subject for his first oratorio because, like St Paul, the members of his own family were converted Jews, but this idea seems far too simplistic for a man of Mendelssohn’s considerable intellect. A much more likely reason is quite simply that it offered tremendous dramatic possibilities. Mendelssohn began work on the oratorio in March 1834. The libretto was compiled by Pastor Julius Schubring, a childhood friend whose help he regularly enlisted. When the opportunity arose, Mendelssohn was in the habit of playing his latest composition to his father Abraham, whose opinion he held in great esteem. When Abraham died suddenly in November 1835, the oratorio assumed an added significance, becoming Mendelssohn’s musical tribute to his revered father. The first performance on May 22nd 1836 took place at the Lower Rhine Music Festival in Düsseldorf. Its first performance in England was given in Liverpool in October 1836, and the following year Mendelssohn himself conducted it at the Birmingham Festival, to enthusiastic acclaim. Given Mendelssohn’s high regard for the choral masterpieces of Bach, Handel and Haydn, it is no surprise to find that St Paul is modelled on similar lines, with an integrated scheme of recitatives, arias and choruses. His use of chorales to demarcate important points in the story and to reflect on the action is clearly influenced by the Passion music of Bach. One of Bach’s favourite chorales, ‘Wachet auf’ (Sleepers, wake), is heard at the very beginning of the overture and later on in the chorus. Handel’s influence is also evident in the dramatic use of the chorus, which at times is central to the action, as for instance when the outraged mob calls for Paul to be killed, whilst at other times it provides appropriate commentary on the unfolding events. Of course, the work is full of Mendelssohn’s own innovations, the most striking of which is his use of a four-part chorus of women’s voices – used only once in the whole piece – to represent the voice from heaven, ‘Saul, Saul, why persecutest thou me?’. The text of the oratorio is based very largely on the Acts of the Apostles. After a lengthy overture, Part I opens with the martyrdom of Stephen and Saul’s persecution of the Christians. This is followed by the conversion of Paul, his baptism and ordination as a minister by Ananias. Part II finds Paul and Barnabas becoming the ambassadors of the Church. Their duet is followed by one of the oratorio’s best-loved choruses, ‘How lovely are the messengers’. We then hear of the Jews’ attempted entrapment of Paul and the miraculous healing at Lystra of a crippled man. The work ends with Paul leaving his church at Ephesus and sailing for Jerusalem, and new challenges.